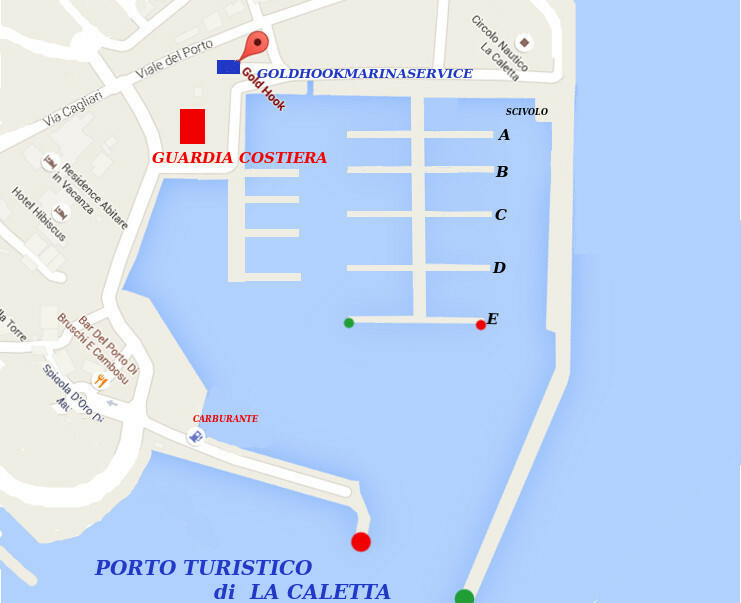 GoldHook Marine Service is located in La Caletta harbour,entry gateway to the sea in Sardinia Central and offer a 360° support to the shipowners, crews and his guests which stops or pass around this area, managing of care facilities and logistics, and spreading art culture and history of our land. Our qualified team guarantees the quality of our services, safety,comfort and care, to make sure that your crew can do its work in peace, and you can fully enjoy your holiday, as we are aware of the desire of the shipowners to escape the stress and the daily responsibilities, but feel free to travel and explore. We assist the shipowner and his crew in the management of his yacht, shipyard management in winter, as well as those seeking the perfect charter.